Retro VHS and Blu Ray Now on Sale! 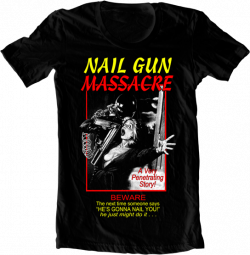 Infamous t-shirt company Rotten Cotton is now offering the official Nail Gun Massacre t-shirt! FRIGHT RAGS introduces this great design!